With my own interest in history and sci-fi/fantasy, it was probably inevitable I’d get around to reading some of novels by Tim Powers. Recently, I bought Hide Me Among the Graves (2012) at a bookstore warehouse sale, and had to pick up its predecessor, The Stress of Her Regard (1989). Ominous sounding titles, eh? Well, Powers postulates a race of stone-like beings, identified with the Biblical Nephilim, who have supernatural powers and prey on humans in a sometimes destructive, sometimes symbiotic arrangement. If you’re lucky, you’ll have a long life, write great poetry, and have a truly hypnotic lover. If you’re unlucky, the things will crush your body or mind. And they are jealous, tending to brutally kill off any other loved ones you have. family, the Crawfords, helps unite the two stories. Oh, did I mention that these Nephilim can appear as if they are human? 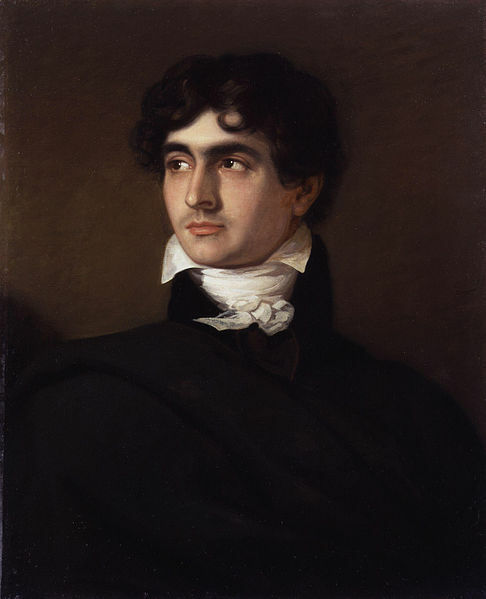 One of them usually appears as Doctor Polidori, the least talented of that gathering of Romantic writers that produced the novel Frankenstein. 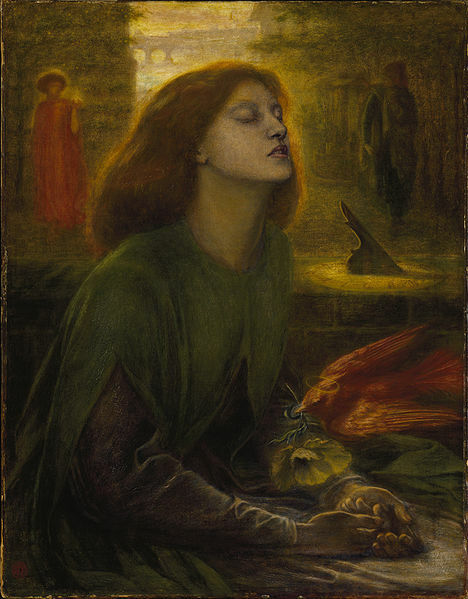 Another appears as the ill-fated Lizzie Siddal, who married Dante Gabriel Rossetti and died two years later. Powers did an excellent job of researching the history of the era and his historical figures. He ties the plot to real events in their lives, and even uses their poetry to provide an eerily appropriate atmosphere for these fearsome tales. I should do as much research and get it into my stories. Unfortunately, this creates two problems. The first is what I call the “Sidonia Problem,” after Wilhelm Meinhold’s Sidonia the Sorceress (1847): the difficulty of fitting the motivation of a single fictional individual to fit actual historical events over many years. This is particularly a problem with the earlier The Stress of Her Regard, which strains to explain the many deaths surrounding Byron, Keats, and Shelley by far too many plot twists and far too little explanation of the motivation of the Nephilim. Hide Me Among the Graves is far more successful in this regard, hanging more fiction on fewer specific historical events to produce a more dramatic plot. Now Powers does something I admire, namely not give us the instruction manual for his Nephilim. Far too often, fantasy fiction assumes that somehow everyone knows exactly how supernatural beings work. (The prologue to the movie Highlander is an obvious offender. Who in blazes told the Immortals about the Gathering?) What people know of the Nephilim is based on experience and folk tradition, and doesn’t always work as planned. However, thanks to Powers’ overwhelming attention on the historical characters and historical detail, the Nephilim are slighted, and appear a bit too obscure and mysterious. Again, Stress is the worse offender, though Graves had me dropping my jaw in the scene where Polidori tries to crush a human’s personality. I’d known Powers previously only from his early The Drawing of the Dark (1979), a sprightly fantasy about the Turkish siege of Vienna in 1529, which I enjoyed. Stress and Graves show Powers has developed both as a stylist and as a writer of historical fiction. I think the Sidonia problem hurts The Stress of Her Regard too much to recommend it. Hide Me Among the Graves is a more satisfying read. My only reservation in recommending it is that some of the background information for Graves is in Stress, and I’m not sure how easy it would be to follow Graves without reading Stress. This entry was posted in Reviews and tagged book review, Dante Gabriel Rossetti, Hide Me Among the Graves, historical fantasy, Nephilim, Polidori, Romantic Poets, The Stress of Her Regard, Tim Powers. Bookmark the permalink. Drat! That escaped me. Corrected. Thank you! First, I think I may have met at least two of these Nephilim, but thankfully not in my own relationships. 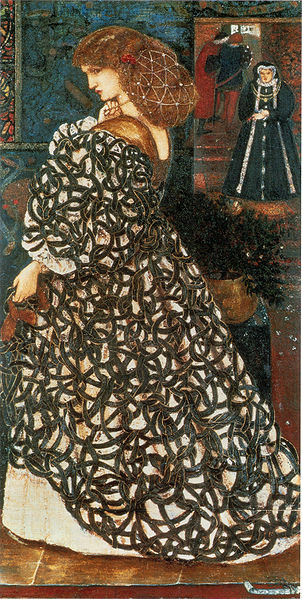 And the Pre-Raphaelites really do attract this type of writer – which, of course, is understandable considering Mary Shelley’s masterpiece (or Mary Woolstonecraft Godwin since she wasn’t yet married to Shelley). And Shelley himself was pretty macabre. Have I told you of his electricity experiments as a kid? He tied a kite to a cat’s tail by copper wire and flew it into a thunderstorm. (The kind of biographical detail that sticks.) But despite your reservations re these two novels, you do rather tempt me to read them, though it’s not really my chosen genre. Maybe it’s the Shelly connection.